It goes without saying that no matter what system Disney comes up with to try to manage crowds in Galaxy’s Edge, it’s going to be crowded for some time. 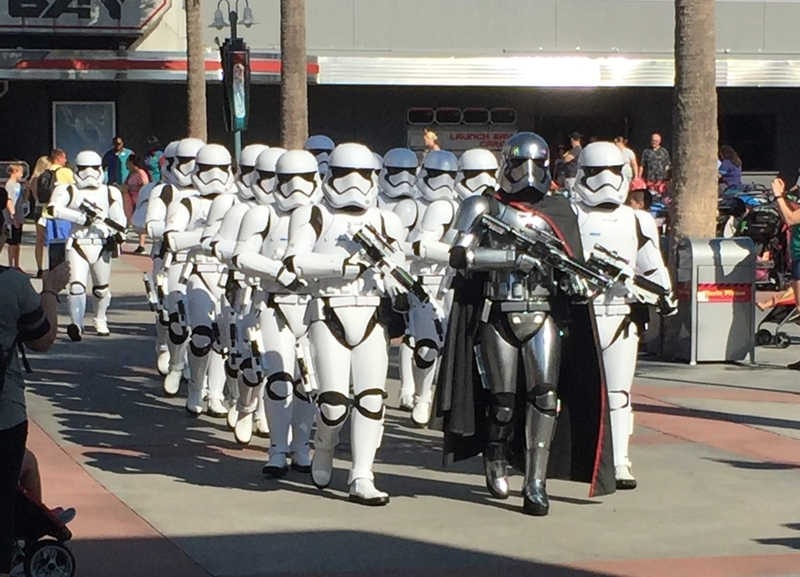 Though Disney has experience when it comes to crowds, the fan base for Star Wars has been growing since 1977 when the first film debuted. As someone who lives out of state and can’t visit Walt Disney World as often as I’d like, I plan my time in the parks meticulously and don’t want to waste precious hours in long rides for the Galaxy’s Edge attractions — Millennium Falcon: Smugglers Run and Star Wars: Rise of the Resistance. As a result, I will choose to wait and see Galaxy’s Edge when the “new land smell” wears off a bit. Disney banned selfie sticks in the summer of 2015 citing safety concerns, but is seemingly about to encourage hundreds if not thousands of guests to purchase and carry lightsabers through Galaxy’s Edge and beyond. The crowds alone will produce frustration and long lines. So, in addition to using the Force to be patient through the winding lines, I’ll also have to resist the temptation to join the Dark Side when the young Padawans behind me accidentally hit me with their new lightsabers during an impromptu Jedi training session. Not to mention the bruises that will result when a pint-sized Padawan gets his or her lightsaber out while walking through the crowd in Galaxy’s Edge, hitting the rest of us in the shins, knees, and elsewhere as they pass. My hope is that Disney is aware of the potential for both safety issues and frustrated guests with the combination of large crowds and lightsabers, so I’m interested to see if any rules appear before Galaxy’s Edge opens. I would hate for there to be an incident where a guest gets hurt before precautions are taken. Having visited Disney World while 6 months pregnant, I cringe at the thought of an expectant mama having an unhappy run in with an enthusiastic child brandishing a lightsaber. Though not a die-hard Star Wars fan, I definitely consider myself a casual fan. I grew up watching the original 3 films, went to see Episodes I, II, and III in theaters during college, and am enjoying the newer films as well. 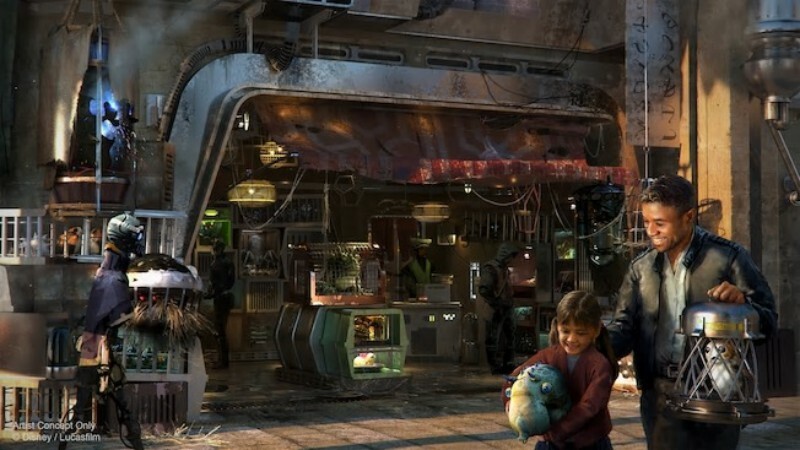 I’m very excited to see Galaxy’s Edge at some point and, though I may not catch some of the details that more devoted fans will, I expect to really enjoy experiencing the land. I’m particularly looking forward to visiting Galaxy’s Edge with my father. Devoted Yoda fan, he is! You’d be hard pressed to find a room in my parents’ home that doesn’t contain some form of Yoda knickknack. On the other hand, upon entering Galaxy’s Edge, my 2-year-old son would quickly realize that the dude in the black outfit who appears to be having breathing problems looks nothing like the beloved Mickey Mouse he came to Disney to see. My little guy’s only reference for Star Wars is a T-shirt with Yoda on it, whom he irreverently calls “Yoga” each time he wears it. 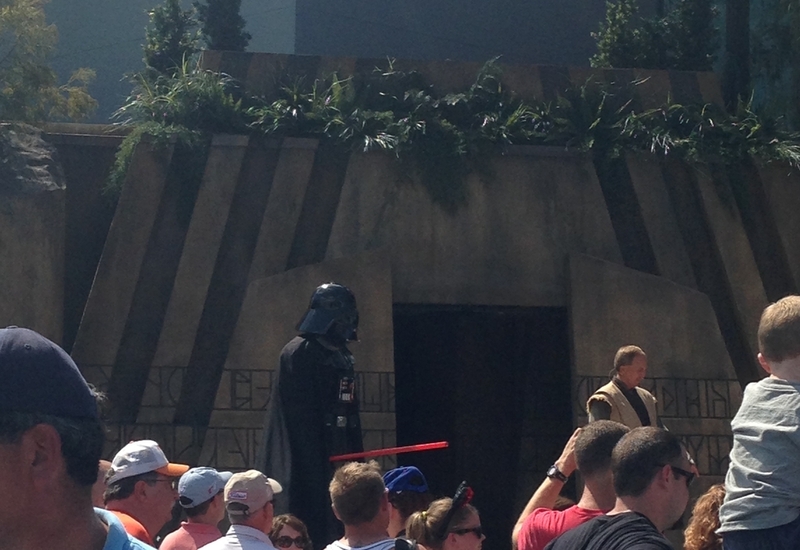 Honestly, it would not surprise me if he ends up being afraid of characters like Darth Vader and the Storm Troopers. Not to mention he won’t be tall enough to ride either of the attractions. Likewise, my 5-year-old daughter has no experience with Star Wars and won’t see characters she recognizes and enjoys either. 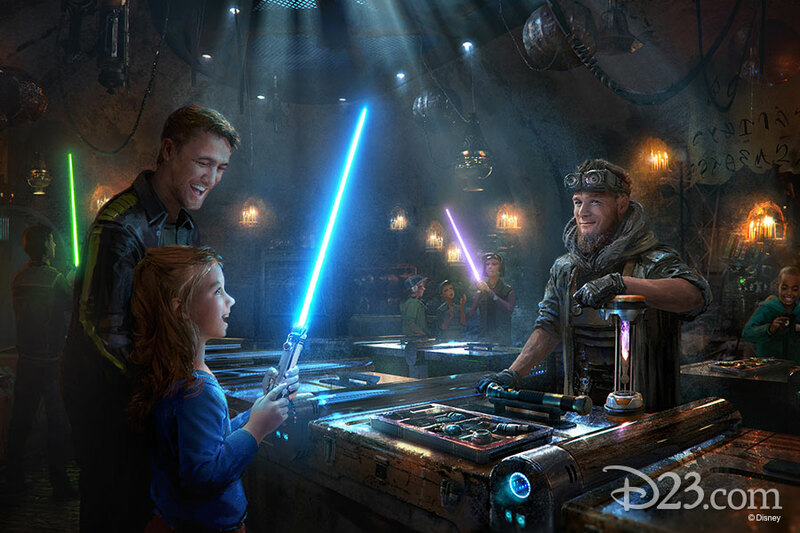 So, while I do plan to visit Galaxy’s Edge, we’ve already decided it’s not in the cards for our next family vacation to Walt Disney World. I look forward to experiencing it in the future when crowds are more manageable and the Storm Troopers are strictly enforcing safety rules for lightsabers.